The aim is to provide nutritious food to 30 destitute elders, who are homeless and neglected by their families. Due to poverty some families are not able to feed these older persons. Among 30 poor old age persons, some of them use to beg at neighbour's houses, nearby locations to feed themselves. Since 2009, we are providing nutritious food to 30 destitute elders in Kurnool District of AP, India. The homeless elderly persons are suffering from starvation, ill-health in our area.The age group of these older people is 60 to 90 years. Sometimes they used to beg on the streets to feed themselves. These destitute elders approached us to feed them with meals. Most of the elderly women are having anaemic problem due to lack of food and medicines. Some poor elderly have no shelter and sleep at neighbour houses, temple halls and verandas of community halls. Seruds has conducted surveys around Kurnool and identified many such elders who need help. Most are homeless, or live in huts but do have means to cook. Under this program, with our limited resources, we provide nutritious midday meals to 30 poor old people from slums in Budhavarapeta, Kurnool, Andhra Pradesh every day. 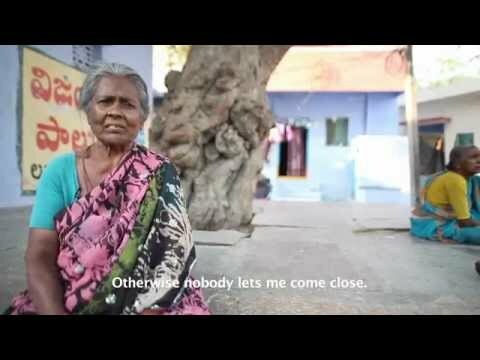 This project solves the problem by providing every day nutritious meals to one elderly person for a year. The meals include Steamed Cooked Rice, Leafy vegetables Dal, Vegetable Curry, Sambhar, Rasam, Butter Milk, Chutney, etc.With this nutritious meal the health of Hungry destitute elderly persons have been improved. Older people are very happy for this support. Many times we also provide clothing to the destitute elderly persons. Word about this program has spread, and people of Kurnool come forward to celebrate their children’s birthdays, wedding anniversaries or occasions with these destitute old elderly by arranging special meals, or distributing clothes. This program will stop the starvation among destitute elderly people in Kurnool District of Andhra Pradesh. In the Budhavara peta slum older people get timely nutritious food. Living conditions will improve & life span will increase of these old people. They will be able to eat nutritious food on time without depending on others. The perception of the community to care for old age people will change eventually. Human rights violations against aged people will be reduced. Your share could be as good as a donation for SERUDS!